This is a great collection of well composed songs, with brilliant gospel truth about our King Jesus. The talking between the songs is so helpful and causes my child to ask great questions. My child absolutely loves it. I love listening to it in the car even when he is not there! Thank you for such a great resource! This CD is one of the regulars on our car stereo. Catchy tunes which teach great truths. It's not for you if you consider it irreverent to use silly voices to teach the Bible (think Colin Buchanan)... here we have bad French accents, mad professors and a final rap which is reminiscent of The World Wide Message Tribe for those of you to whom that means anything! Good, clean fun and my son loves it. It's not often that I'm happy to listen to a 'children's' CD from beginning to end, but this is one that I look forward to my daughter choosing in the car. Our children love these songs - a great sound pumped up loud to fill the house, infectious tunes, and all beautifully true. My kids love this CD. 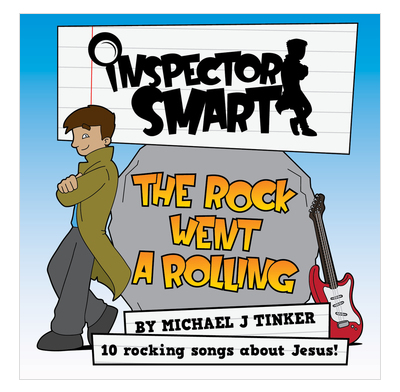 The songs are very catchy and entertaining, whilst teaching them great truths about our King Jesus!